If you’re Melville, NY, homeowner contemplating a swimming pool, chances are you’re wondering how you can make sure it’ll be stylish and fit in with the rest of your landscape design. Fortunately, there is a wide variety of design options to choose from for your pool project. From sleek and modern infinity pools to private waterparks and Mediterranean-style masterpieces, here is a list of beautiful, swimming pool designs to inspire you. Waterfront properties are especially unique because of their gorgeous views and access to water, whether it’s a pond, river, or lake. Their owners are usually very special too, because they want the most out of their property and typically spend a lot of time outside enjoying it. 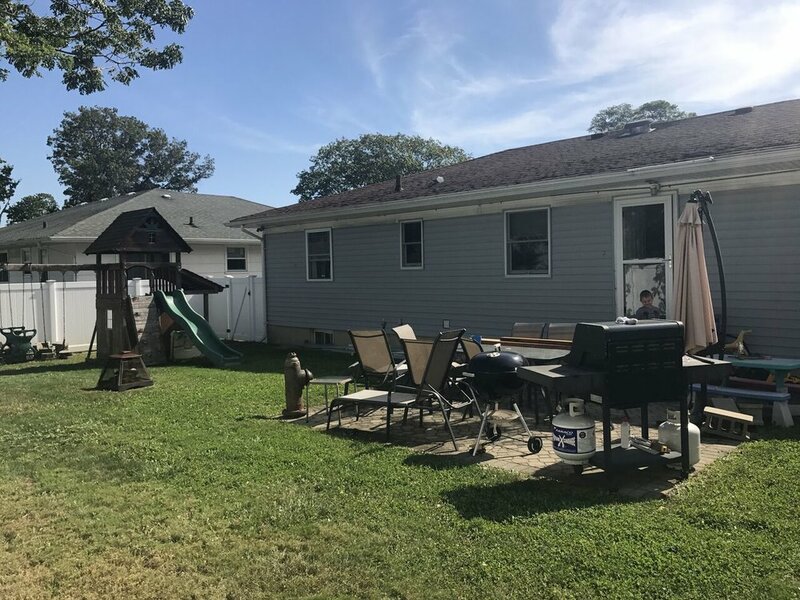 Having the right backyard in Smithtown, NY, can enhance the functionality and value of your waterfront property, and help you to enjoy it even more! Here are three backyard designs for your waterfront property. After waiting all winter to enjoy your Glen Cove, NY backyard, you’re sure to want to spend as much time outdoors as possible. Adding shade to your landscape will allow you to take advantage of the warm weather without suffering in the hot sun. Try some of these backyard designs to create shade for your patio. More and more, architecture trends are reflecting the homeowner’s desire to spend more time outdoors. Landscapes in Hicksville, NY, with greater and greater frequency, are being designed to be functional spaces and extensions of the home’s interior. Here are five of the most important landscape architecture trends that will ensure that you are getting the most out of your yard and the summer season outdoors. Whether your patio is small or spacious, having comfortable seating and adequate space to sit back and relax is absolutely essential. Regardless of your taste and budget, there is an outdoor seating option out there that will suit your East Northport, NY, landscape perfectly. Whether you’ve had the same old landscape design for decades, or you’re a new homeowner seeking to add a few personalized touches to your existing yard, these outdoor remodelling ideas will help you rejuvenate your Oyster Bay Cove, NY, landscape and boost its curb appeal. If you’ve always imagined a tropical paradise or resort-like entertainment area for your own backyard, you should know that your dreams for your landscape are easy to achieve! With these prominent trends, you’ll be able to transform your Kings Park, NY, backyard into a luxurious escape. Small homes are all the rage in the modern age, saving money and often leading to a simpler, yet equally satisfying lifestyle. However, we often escape to the outdoors to feel free, which is when a lack of space can begin to present problems. Here are five clever tricks that make landscapes look and feel bigger. Although each feature has a subtle effect, when combined, the following techniques can make your Kings Park, NY, backyard feel noticeably more spacious. Constructing a garden path, patio, or poolside all begins with the paving stones underfoot. Your paver selection is therefore just as important as any other part of your Plainview, NY, hardscape and deserves careful consideration. When selecting a material for your patio floor or pool deck, the choice generally boils down to two options: natural stone and concrete. When designing your backyard space, making sure that it is accessible for all potential situations is a wise decision. Whether you have family members with mobility issues or are simply considering long-term life changes, access for those with physical challenges is easily facilitated with a few landscaping accommodations. 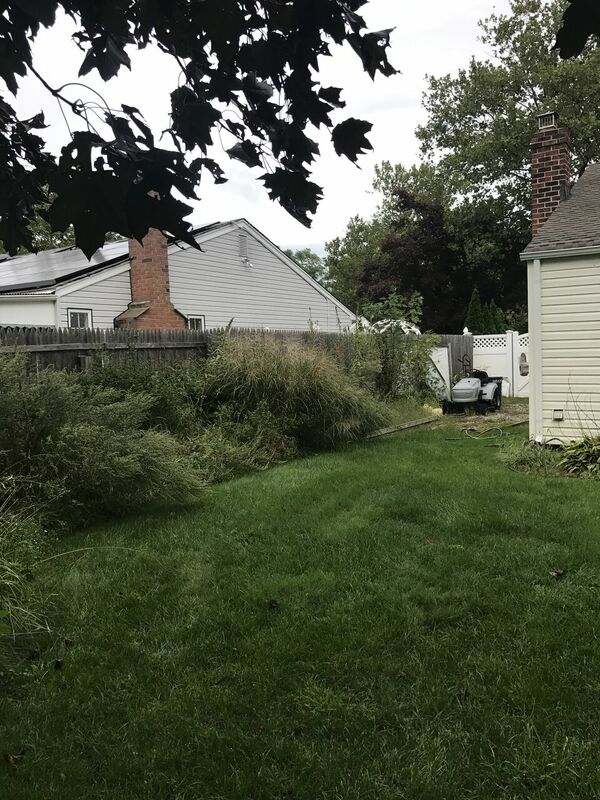 Make sure to consider these specific issues as you design your Plainview, NY, backyard with an eye toward accessibility. A patio is a great way to expand your living space to the outdoors. Whatever the size of your yard, adding a patio will transform it into a functional space that you can really enjoy. But a patio can sometimes leave your yard without much green space. Try some of these methods to add greenery to your Hicksville, NY, patio. A large landscape offers many opportunities for stunning outdoor spaces. But a big yard can also present a variety of design challenges. When working with a large area, it’s important to start with a good site plan. Incorporating these large-scale elements into your Massapequa Park, NY, backyard will help create a layout that maximizes space and enjoyment. The time has come to select a welcome home 2017 winner! THE JUDGES PICKED: ASHLEY VENTIMIGLIA AS THIS YEAR'S WINNER! SEE THE OFFICIAL ANNOUNCEMENT ON FACEBOOK HERE. Lis from Above All Masonry first went to visit the Signore Family of Miller Place. This family is trying to pick up the pieces after tragically losing their son, a beautiful 14 year old boy who was struck by a car while riding his bike. “Nico was the one who knew how to get me right in the heart” said Kim as she shared a memory of her son and how he would still at the age of 14 hug and kiss her. Nico was loved by all in his community. “He was the kid that would never leave others out…he played with everyone”. The Signore Family have a space in their yard where Nico’s puppy had been buried. Nico loved animals and the family thought it would be a perfect space to honor Nico and help the family heal. The TSS caused sepsis of Ashely’s organs. She was intubated and put in a medically induced coma. While in this coma Ashley’s body was turning a dark purple, almost black. The pressers in her body were trying to keep the vital organs alive while killing off what was “not important” . Several toes on both feet had to be amputated and a portion of her forearm was severely damaged. She had to deal with this realization upon waking from her coma still fighting for her life. Once stabilized she was transferred to a rehab facility from Oct - Dec 2013 to “learn” how to walk again. The doctors were able to save her big toes and that is what helps her keep her balance and still walk. Ashley has lost so much time with her 2 small children (now 4 and 7), all she wants is to be able to spend as much time as she can with her little ones. And be able to do some of the simple everyday things we all do. The healing space to them will hopefully be just that….a space where Ashley can heal and make up the time she has missed enjoying her children. A story of the Hanson family, Kimberly, Rob and their 2 beautiful children, Kevin 12 years old and Katie 10 years old is a story of strength and survival. Kevin, who was born with a heart condition called Aortic Stenosis, and had a heart procedure to open up his valve, is a happy well rounded pre-teen. He will need to have another corrective procedure when he gets older and his body stops growing. Katie is a beautiful young lady very into the arts. Katie was diagnosed with a non malignant brain tumor at the age of 3. She received chemotherapy and the tumor is now stabilized. Although the tumor did leave her completely blind in one eye, that does not stop Katie from doing what she loves. She plays the cello and participates in productions in their local theater. Kimberly (Mom) was cheery and grateful as she told her story of how she is now recovered from a double mastectomy and reconstructive surgery. She said the strength her daughter taught her got her through her tough chemotherapy treatments. It's inspiring to see that after all they had been through, they are in a good and healthy place today. They would love a nice space to enjoy quality time as a family in their new dream home. 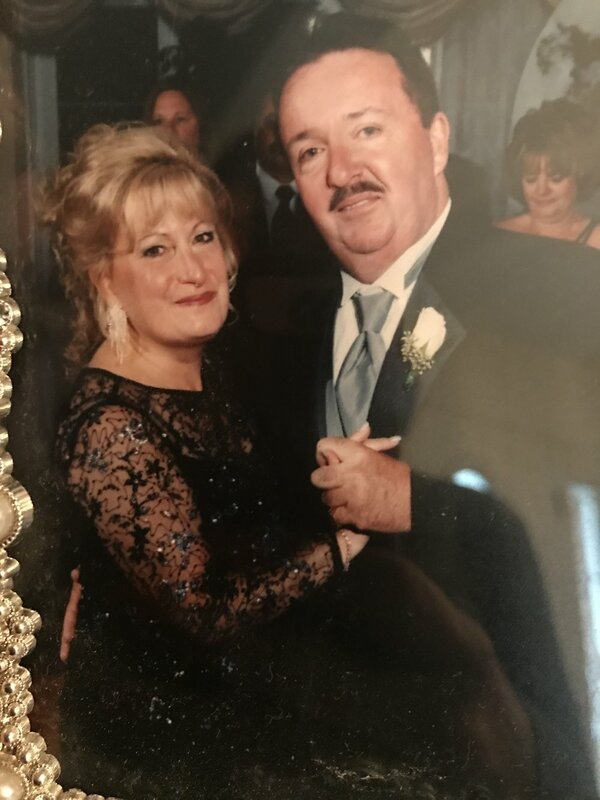 A story of Linda McMahon of Holbrook and how she lost the love of her life is heartbreaking. She and her late husband Marty had been high school sweet hearts. They build their life together, raised their daughter, and were now preparing to enjoy their new grandchild. In 2010 the family was getting ready for Marty’s retirement party. Marty had been a volunteer firefighter for many years and was now ready to retire. The day before the party Marty passed a way from a heart attack. The shock of Marty’s passing has caused a devastating sadness to the family. Recently Linda lost her job of over 20 years with Pathmark and due to back issues was forced to retire. The financial difficulties is just another strain on the extremely depressed Linda. She feels she can not keep up with the home on her own and their once beautifully landscaped yard looks sad and abandoned. Linda was hoping to use the healing space to honor her late husband. Kim and Daniel Kennelly's adorable 4 year old son Phillip was born with a rare liver disease called Biliarry Atresia (there is no full cure for this disease). At 8 weeks old, Phillip had surgery to temporarily fix the problem and was then put on a list for a transplant in 2015. In 2016 Phillip had a second GI Bleed and was in need of a transplant sooner than expected and the doctors suggested the family look into a living donor. Daniel volunteered to be the first one tested and he was a match! They both went in to surgery in May 2016 and have both recovered beautifully and are doing great. Phillip is a fun loving active little boy. It was thrilling to see how well he and his father Daniel were doing. It is obvious that Daniel will do anything for his family no matter what he may have been going through himself. Last month Daniel’s brother and best friend lost a long battle with Hodgkins Lymphoma. His brother was a firefighter and a 911 first responder. They would love the healing garden to represent the new healthy future of their little Phillip as well as a place to honor Daniel’s late brother.